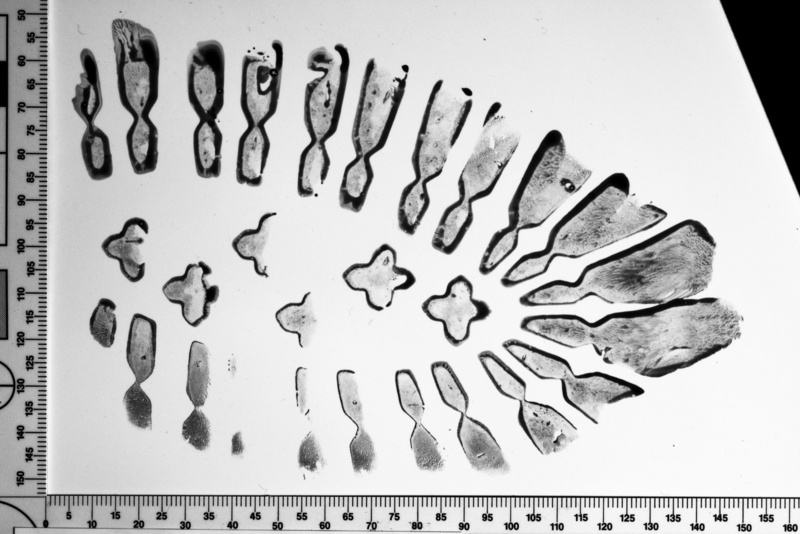 Think of forensic science and what images are conjured in your mind? Possibly something out of Silent Witness, CSI, or even The Wire. 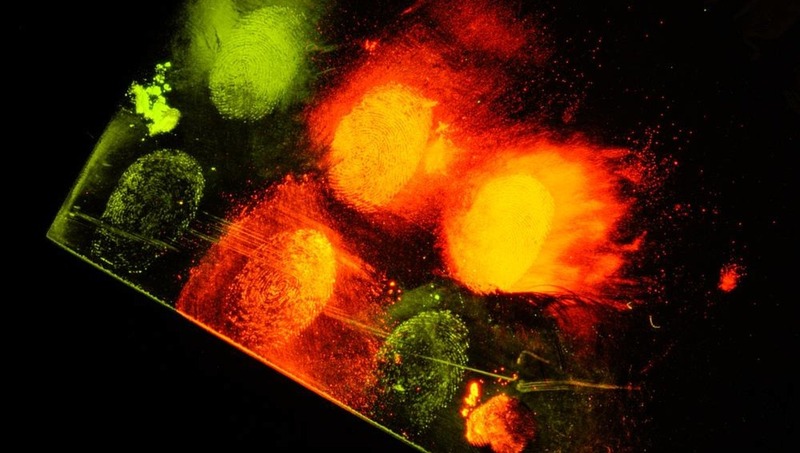 What then is involved in forensic imaging? John Smith explains. When I think of the role of photography in forensic science I'm immediately drawn to crime scenes and photographing evidence in order to preserve the state of a crime for later investigation and presentation in court. Is this the remit of a forensic imaging specialist or are there other aspects involved? I caught up with John R.A. Smith, a Senior Lecturer in Imaging Science at the University of Westminster, London, and forensic imaging consultant, who spent 10 years prior to this working on cases. John first picked up a camera at the age of 16 and was completely hooked on the shoot, develop, and print workflow of black and white photography, spending hours in the darkroom. That interest led him to a BSc in Photographic and Electronic Imaging Sciences at the University of Westminster (then the Polytechnic of Central London) as it enabled him to combine both science and photography. As John says, "I loved the practical application of technical and scientific photography." Due to the course he realized that a technical career was what interested in and the options at the time were focused around clinical, industrial, and forensic photography. After a short time as a technician he landed a job in 1997 at the government's Forensic Science Service (FSS) based in London. All the work was analog, however it was an exciting period with the beginning of digital imaging and subsequently computational photography. So what does a forensic imaging specialist actually do? It's important to understand who the "customer" is. In the first instance this will usually be a police force investigating a crime, but ultimately it will be the court in terms of reaching a verdict in a case. Perhaps the single unifying theme then is evidence. These come in a variety of forms, the most general of which is documenting a crime scene. 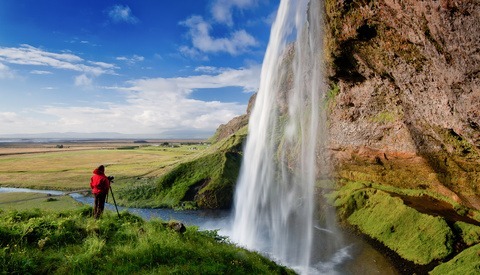 At the simplest level this will involve overlapping photos, although these are now often produced as 360 degree scenes that allow immersive viewing. I also asked John about the creation of 3D scenes. He explained that these are produced by separate teams using laser scanners and usually for large or complex scenes such as serious road traffic collisions and major incidents. Perhaps the single biggest area of specialism is recording marks at a scene. These come in the form of finger marks, footwear marks, and blood marks, often forming key evidence for investigation and, later, in court. Initially they may require chemical enhancement at the crime scene, then photographic enhancement before undergoing subsequent digital enhancement. Recording blood (or other body fluids) spatter/distribution is undertaken with biologists in order to determine how they were made. Other pieces of key evidence include clothing from suspects and victims, which is meticulously examined in the laboratory for trace evidence. 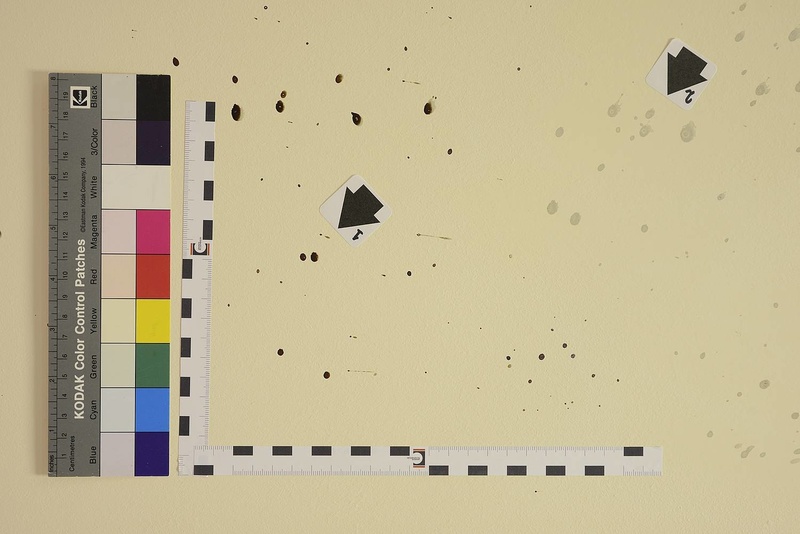 Photographs of clothing illustrating damage, blood spatter and the distribution of other traces often accompany forensic science reports. 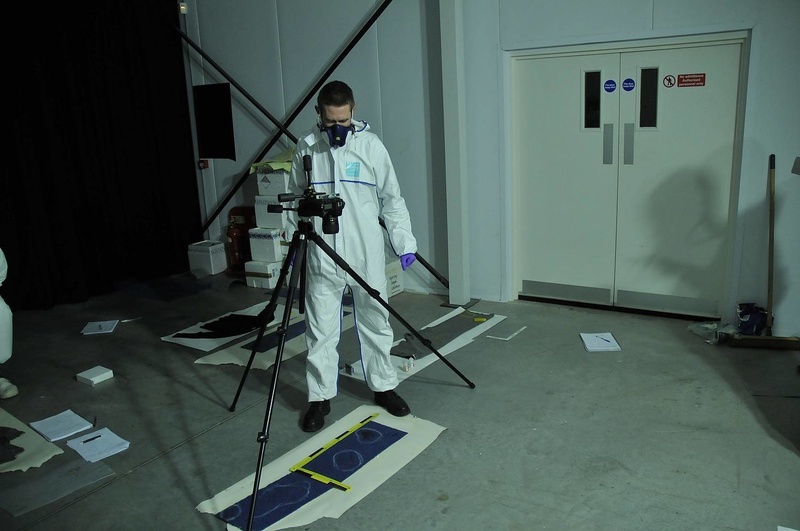 Forensic teams work to UK Home Office's Digital Imaging Procedures for the collection of evidence in order to ensure that it is procured consistently and to a minimum standard. The requirement is for a genuine "original" to be stored: during the infancy of digital imaging, this would have been on write-once optical discs, but now the use of secure access file servers is standard practice. The size of the job is directly related to the amount of evidence that requires recording. For scene of crime documentary evidence this could be as few as four or eight photos (shot from the four corners and four walls), ranging to many hundreds depending on the complexity and number of marks and size of the scene which would cover the evidence at a range of scales in increasing detail. In the example below, the complexity of the scene was increased due to the presence of blood spatter marks. After five years at the Forensic Science Service John switched to the private sector working for Forensic Alliance Ltd which allowed him to study for an MSc in Digital and Photographic Imaging, again at the University of Westminster. A small company of around 50 staff, it quickly grew and was acquired by LGC Forensics with a roll of over 500 people (and is now Eurofins)! So what was it that he found interesting about the job? More generally, John says it's the "variability of the job." I think that's something we can all understand and aspire to. I followed up by asking John what the strangest or most interesting job was. Given the wide range of experience he has had, it was never going to be one! In terms of the strangest, he was called to a private job at a flat in West London but was not told who the client was or why the evidence was required. On arrival they found a whole series of marks left in excrement smeared across the floor. When they had finished, one of the occupants of a neighboring flat asked who they were and why they were there. Apparently an inexplicable job that no one seemed to be able to make sense of! In terms of the most interesting job, John was contracted by the Home Office to provide images for the public inquiry into the infamous Shirley McKie case (and public inquiry) in Scotland. In 1997 Marion Ross was murdered in Kilmarnock, Scotland. Subsequently, finger marks of Shirley McKie, a serving police constable, were identified at the crime scene. She testified that she had never been at the scene which subsequently called in to question the ability of the fingermark specialists to correctly identify evidence. David Asbury was convicted of Ross' murder, but subsequently released from a life sentence on the basis of this mistake. The marks remain unidentified. The case was reopened in 2015 and John worked on the original photographs of the finger marks, but not the finger marks themselves. Finger mark expert witnesses used this evidence and it has perhaps become the single most studied finger mark image ever. What is startling about this inquiry and the interpretation of the image is that the inquiry never looked at the original evidence, only the images. This highlights a more general word of caution from John. There is a general assumption that photographs are unassailably objective and "true". This is not the case and preparing photographic evidence requires a knowledgeable understanding of the techniques used to produce them. In short, there is no such thing as objective truth and the camera can lie. As John says, "[there needs to be] a greater understanding of visual communication, both technologically and culturally, by a wider range of people - including lawyers, forensic practitioners, judges and juries." I asked John what his photographic interests were now. Although he is a Senior Lecturer in Imaging Science he is still involved in case work through Forensic Access Ltd and occasionally gets called on for consulting jobs. Other than that, travel and anything else that interests him form his main subjects and for this he uses a Sony NEX7 as it is small and light, with good image quality. Naturally then, as he is training the next generation of forensic imaging specialists, I asked him what the future holds. Interestingly it is not specialists that first spring to mind, but so-called "first responders." Who is it who gets to a crime scene first and how best can they record what they see? Evidence may be ephemeral and whilst the skills of a trained photographer are invaluable, being there first is what counts. This is already happening, with police officers using compact cameras and smartphones. The imaging specialist is there to apply their expertise and this may involve the acquisition of 360 photography (although smartphones can do this too) or imagery for 3D modeling. Allied to this is remote working through a centralization of resources, such that specialists can work across wide and diverse regions. The importance of "crowd sourcing" imagery from third parties shouldn't be underestimated, such as this bus CCTV of a jogger pushing a pedestrian in to the path of a bus. The imaging specialist is therefore more than just a photographer, understanding how to process and analyze imagery in order to produce evidence. 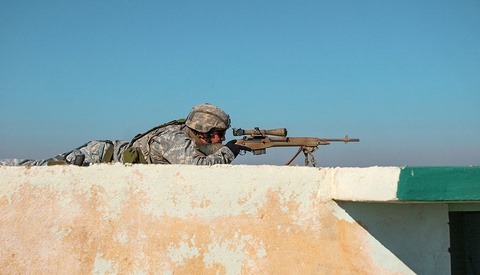 This involves elements of image enhancement, computational photography, and computer vision to draw different strands together that can aid an investigation. The slide was was sitting on our light table. I came over with the camera and angled it down to take the photo. To my horror the lens fell off the front of the camera and smashed the slide! He's never done it again! Forensic imaging specialists are just that: people who specialize in recording, enhancing, and presenting definitive evidence. It's a wide remit that makes it both varied and interesting. More than that, it forms a important part of the justice system and therefore a cornerstone of democracy. You can't say that for many photography jobs!